New and improved Dymondwood - Yea or Nay? Discussion in 'Shop Talk - BladeSmith Questions and Answers' started by Maelstrom78, Nov 8, 2018. Looks economical for handles. Are we all still down on Dymondwood? If you're on a budget you can use better looking fire wood for scales or get cheap g10 from aliexpress. I love Dymondwood in solid colors. It has been hard to find recently. "Plywood" has layers with alternating grain direction. This vendor's prices look a little high. I don't use G10. There is enough dangerous dust in my shop already. Don Hanson III and Maelstrom78 like this. autogateman, JAGKNIFE, DanF and 1 other person like this. Perhaps the Pakistani knives look like MINE? The Pakis use other common handle materials, too. Dymondwood is stable, fairly hard-but easy to work, attractive if used properly, and relatively inexpensive. Does this gun look like it was made in Pakistan? Don Hanson III, Roamad and Night Rider like this. A little bit. But the good part of Pakistan. autogateman, Bamph, Night Rider and 4 others like this. I don't mind the natural looking stuff. Colored dymondwood looks cheap..
AVigil, Spalted and 3fifty7 like this. Don Hanson III, Willie71, Josh Rider and 1 other person like this. 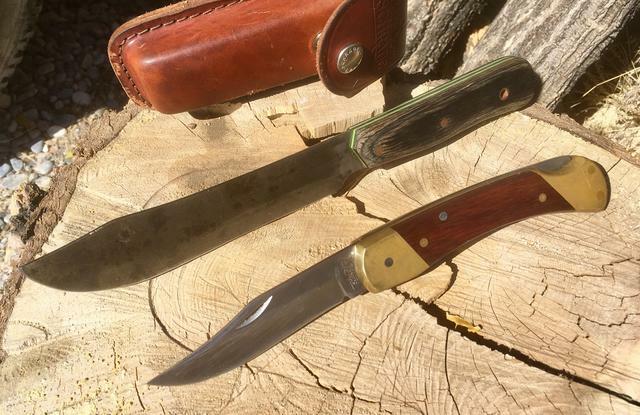 I've been curious about trying some of the camo variations of Dymalux's dymondwood but it is kinda pricey relative to Micarta. On USA knifemaker I could buy a 6"x12"x3/16" sheet of black linen micarta for only $5 more than one set of camo dymondwood scales. Feels kinda iffy to me. 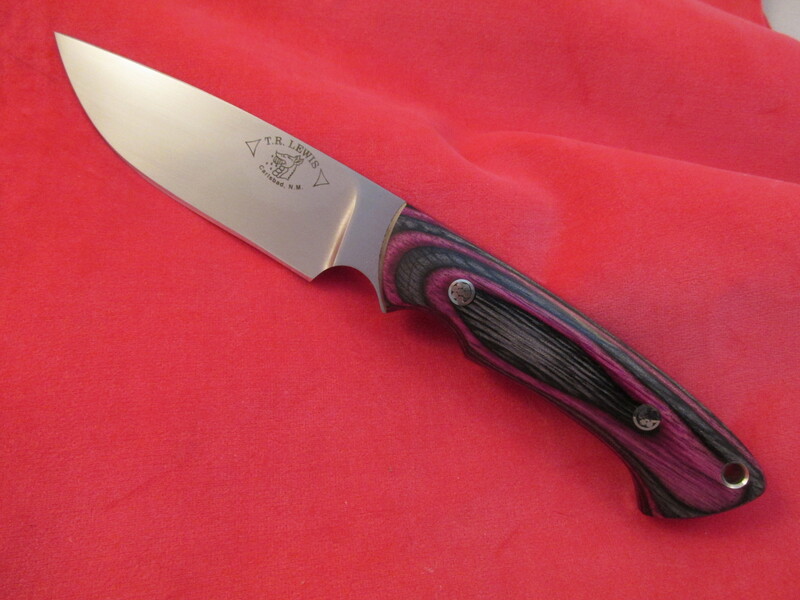 For those of you who don't mind it - do you have any pictures of your knives with dymondwood scales? I'm a big fan of black dymondwood. I’ve used it (the old stuff) on several knives. The multi coloured stuff looks tacky to me, but the more natural coloured stuff makes a decent handle on lower cost knives. I really like it for kids first knives. It’s pretty resilient stuff. I like some of it. I have sold a lot of knives with it to Women. They seem to like it. Night Rider, Don Hanson III, Willie71 and 1 other person like this. I like Dymondwood. Super durable, warm to the touch and easy to work. Here's an Old Hickory butcher knife I rehandled in charcoal dymondwood with green G10 liners (shown with a Scrade LB7). I've used black and walnut colored dymondwood on handles before, and I think it looked pretty good. I can't say I'm a fan of the handles that have 5 to 7 different colors, or look like a Christmas card. I suppose any handle material can look good or bad. It depends on a number of things, IMO. I looked through my pics, and I don’t have any diamondwood pics. Sorry.